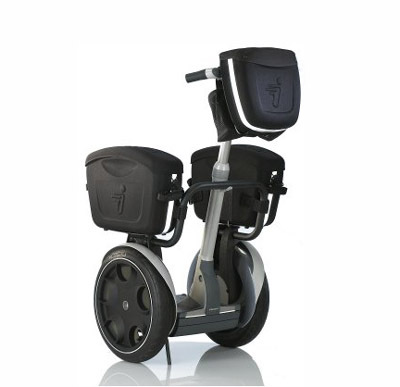 The Segway is a self-balancing personal transportation vehicle. The Segway HT (Human Transport) requires no special skills to operate, clever gyros take care of the balancing act, and almost anyone can use one, just remember to turn it on first. It is compact and suprisingly powerful, with easy recharging from any electrical wall outlet.